The author caught this red grouper off North Carolina’s southeastern coast. 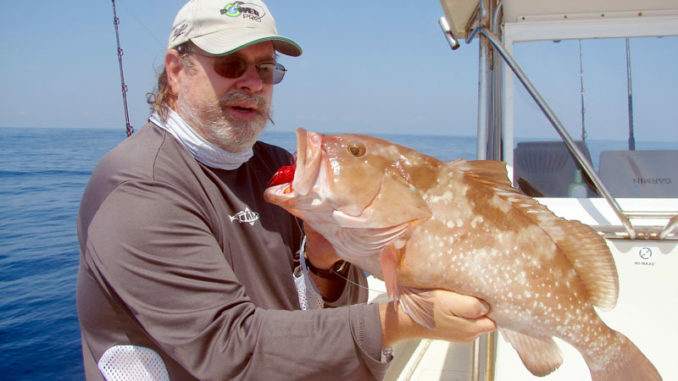 After Dec. 31, the shallow-water grouper fishery will close for four months. December will be the last month to target gag, black, scamp and red grouper until May as the annual spawning closure begins Jan. 1. 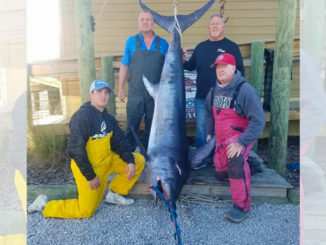 Fishermen along North Carolina’s southeastern coast should take advantage of the usually calm seas to visit the productive bottom-fishing areas offshore of Frying Pan Tower. Gag and black grouper may be caught as shallow as 60 feet, but the best action begins at about 100 feet and moves offshore. Other offshore bottomfish species will also be biting well. 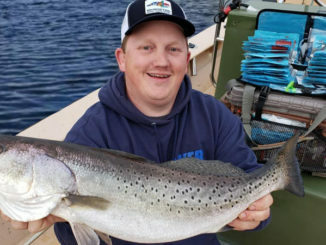 Fishermen should expect to find beeliners, triggerfish, black sea bass, porgies and grunts — and there may even be a few African pompano and hog snapper in the area. 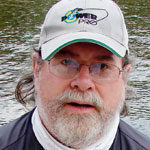 The primary fishing method is simple. Whole cigar minnows, sardines, chub mackerel and smaller menhaden are dropped to the bottom around likely grouper habitat. 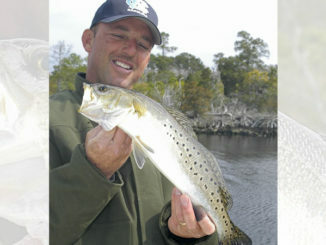 Some fishermen also like to fish live pinfish, menhaden and cigar minnows. When a grouper hits, the immediate struggle is to keep it from getting into a hole in the rocks or wreck where it’s living. Then it becomes a tug of war. Other bottomfish will readily hit chunks of squid, cut bait, cigar minnows or sardines, and strikes often come as doubles. Sometimes a grouper gets jealous or curious and nails one of these baits. Fishermen from Wrightsville Beach to Sunset Beach have easy access to offshore structure that holds an abundance of bottomfish. Some of the well known places are the Tower Reef, Red and White Reef, Snapper Charlie’s and 150/350, and there are many other rocks, ledges and wrecks scattered around that hold a variety of bottomfish. Offshore bottomfish are highly protected, and many are managed with restrictive regulations and limits. Shallow-water grouper (gag, black grouper, red grouper, scamp, red hind, rock hind, coney, graysby, yellowfin and yellowmouth grouper) are managed with an aggregate limit of 3, but only one can be a black or gag grouper.